Free or not so Free Fonts? I posted an article a while ago that went into a number of places online that you can search and download various fonts for free. Here. Well I am in the process of creating my own children’s e-book as well as finishing up my first exclusive e-book with Julia Dweck called, “Mary Had A Sleepy Sheep.” (Achem, be sure to like our fan page on Facebook.) The publisher made sure to tell me that any font I used had to be licensed for commercial work. Believe it or not, this was the first time a publisher had even mentioned that as a requirement. At the beginning of my process I had researched and looked on my favorite free font sites and found the fonts that I thought would work best with my book. I’d paid no attention to the lic. status of those fonts. Uh-Oh! So what does licensed for commercial work mean? It means that people who create fonts have just as many rights to their work as any other artist. A font being up for free doesn’t presume that you can use that font in any way you choose. Just like artists only sell certain rights to publishers or clients for their images, the same is true for designers who create fonts. In general most fonts that are free give you the right to use it for personal purposes. Which means it should only be used and displayed, not sold. Some designers will want credit cited if you post or display any works of yours that have used their fonts in them. While others hold no such requirements. Licensed for Commercial Work means that the designer has given you permission to use their font in for profit or commercial purposes. The stipulations for this, again, can vary from designer to designer. Some will want credit given while others may ask for a small donation. All of this is done of course on the honor system. You are still able to download the font but not adhering to what the designer has asked can result in you being in a copyright infringement situation should you be caught. So tread carefully. In most instances the designers instructions on how and when you can use their font gets downloaded as a text file with the font itself as well as being displayed in some way on the site that you find and download it from. Unfortunately I have yet to find an easy way to search font sites to only find ones that are lic. commercially. (Nothing like finding the perfect font and realizing that it’s only licensed if you buy it outright. This can cost in the hundreds of dollars depending on the font.) Luckily on the front page of FontSquirrel they’ve compiled a list of what they deem as the best free lic. fonts to download. Many of which would be suitable for a children’s e-book. So get to bookmarking and enjoy! Whether you are creating a dummy, just got an assignment or are a writer testing out your page breaks, it’s a good idea to be familiar with how picture books are structured and layed out. Now, most of you know that a standard book is 32 pages in length. But not all of the pages are for your artwork. Generally only 24-30 are images with the remaining pages being used for end papers, dedication pages, the half title page, title page or copyright page. The placement of the extra pages can vary from book to book depending on the art direction and how the illustrator may want to integrate them into their design. In a 32-page picture book, you don’t actually have 32 pages for your story. You only have 24-30 pages since 8 are used for the book ends, copyright and title. 24 pages translates to 12 spreads (an illustration that spans the two opened pages in a book). There are two different types of format layouts for a picture book; separate ended (colored ends) or self-ended. Go to your bookshelf. Grab a few picture books. Open one to the first page and grab the first two pages you can hold between your fingers. Are the two pages made of two different kinds of paper? You’re holding a separate ended book. Are the two pages made of the same kind of paper? You’re holding a self ended book. I did the experiment and came away with two books. Pingo, written by Brandon Mull and Illustrated by Brandon Dorman is a separate ended book. The Best Birthday Party Ever written by Jennifer Larue Huget and Illustrated by LeUyen Pham is a self ended book. A separate ended book has what we call end papers. End papers are the colored papers that are inserted between the front and back cover and the book block. Thus the other known name for the format of colored ends. Last week we talked about the fact that the same skills it takes to conceive of and create a children’s book bleeds over into other related fields. (See article) These related fields are also potential employment and freelance possibilities that we should consider exploring. In this day and age it can be beneficial to be as diverse as you can. Many of us can attest to how hard it is to find work. So being able to look at other employment opportunities that don’t lead you too far astray from your general interests may be a smart option to explore. Also know that this is meant to be a basic overview. A jumping in point. This is what you would use to get your foot in the door at an entry level position. The art of developing toy lines and the specifics in regards to production and manufacturing can take a lifetime to learn. What do toy designers do? As with any job that involves creating a product of this nature, the creation of a toy does not rest solely in the hands of one person. 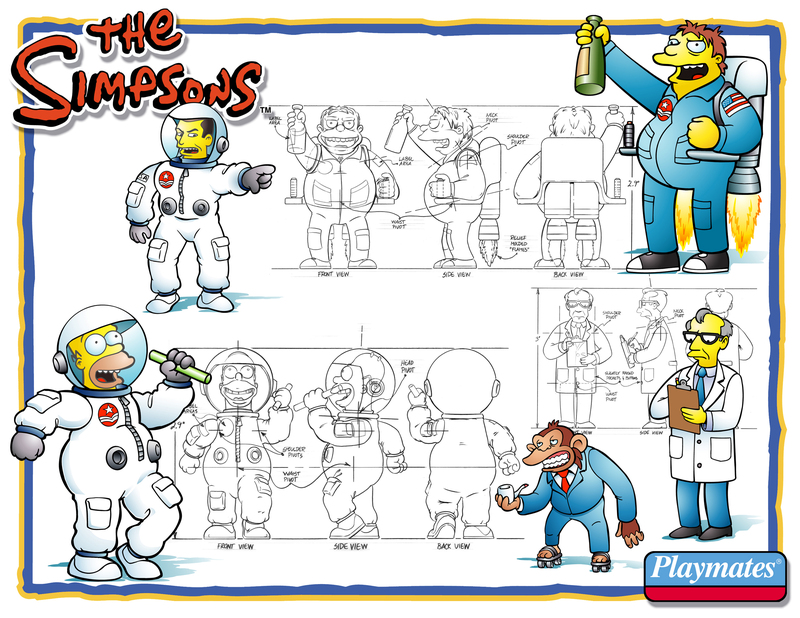 There are many positions and jobs that encompass the creation of a toy from concept, to sculpts, to the final product. The portion that overlaps the most with what a Children’s Book Artist does is the initial conceptual development phase. 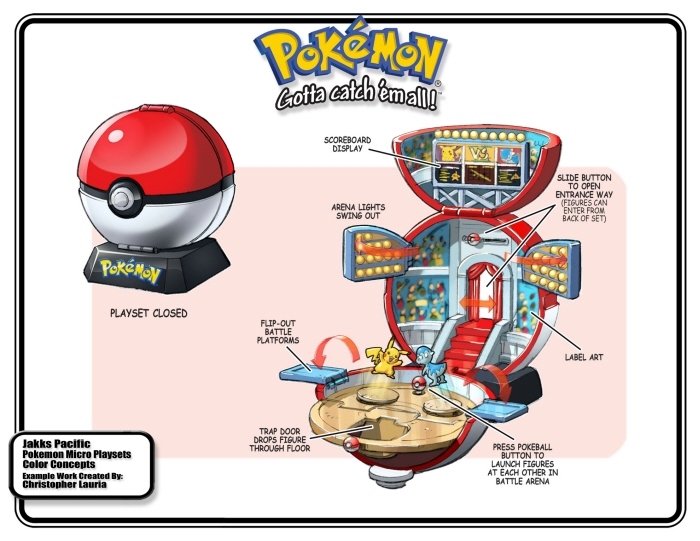 This will focus us mostly on the 2D portion of toy design. At this stage being able to sculpt may not be required but can extremely beneficial to the realization of your design. This would not only be beneficial for you, but for your potential employee as well. Since your final product is going to be an actual 3D object rather than a 2D one. A lot of Children’s Book Artists are struggling with finding work. A part of the problem we surmise at OnceUponASketch is that maybe those seeking work are limiting themselves to Children’s Books when they most probably have the beginnings of skills that encompass more fields of expertise than they realize. One of those potential fields is Toy Design. Basically you take your character as designed and draw them in a fixed position from multiple positions; front, 3/4 front, left side, 3/4 rear, back and right side (especially important if the character is not symmetrical). Once drawn and approved these would then be passed to the sculptors in China to then use as models for the sculpting of the actual toy. To say I was intimidated would be an understatement. But in the process I realized that what I was doing wasn’t that unfamiliar to me. Usually as Children’s Book illustrators we get the script from either the writer or editor. From it we come up with the look and feel of every character in the book. Their height, weight, clothes, hair color, etc. Also their toys if they have any, their rooms, cars, buildings, creatures. The list is extensive. Very much the same as what I needed to do for that particular toy. One of our ongoing initiatives will be to provide meaning for terms and phrases that are local to the Children’s Market. So from this point forward we will go into some of those terms and what they mean. If you have specific requests feel free to e-mail them to us! One of the first set of terms that confused me was the varied Book Market classifications. Many publishers listed the markets of books they published and I wasn’t sure what the words meant exactly. Trade and Mass Market most notably. So they will be first. 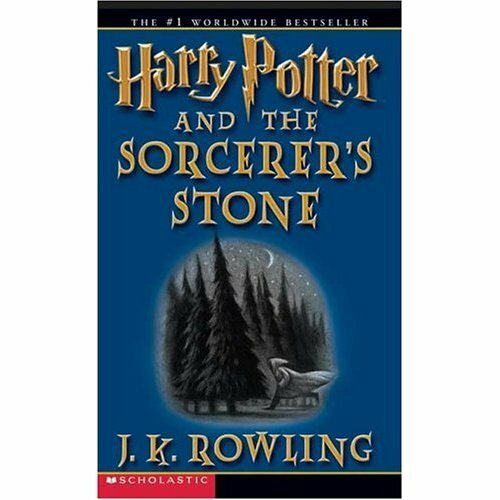 Above is cover to Hardback Trade Edition of Harry Potter and the Sorcerer’s Stone by J.K. Rowling. Trade Books– Books released to the Traditional (trade) Markets are generally directed almost exclusively to Bookstores and Online markets for sale. In most instances this is a books initial public release and would be a precursor to being released to the larger Mass Market depending on sales numbers of the book within the Trade Market. Trade Books are often printed in smaller runs, on higher quality paper and binding in a larger format. While it is frequent that you will have a hard cover with a slip cover for a Trade Book, this is not always the case. First run Prints of Trade books can also be softcover but the quality of these books is still generally at a higher grade than what is used in Mass Market Books. Because of the better quality the book is also generally more expensive, which also contribute to its smaller customer base. They are usually sold on shelves with either their covers out or their spines showing. Trade Books are also the version of a book that you will most often find being used by Libraries for their patrons. This is due in large part to the sturdier format that makes the books more able to stand up to many uses and reads by multiple Library patrons. 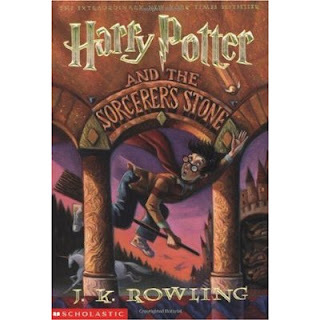 Above is cover to Softback Mass Edition of Harry Potter and the Sorcerer’s Stone by J.K. Rowling. Mass Market Books– As the name implies these books are directed at a larger (Mass) audience and consumer base. This is accomplished by making it available in more outlets to consumers, as well as making the books smaller and cheaper for purchase and personal convenience. While trade books are available in bookstores and online. Mass Market books are more commonly found at the checkout counter of your grocery store, drug stores, gift shops, airports and newspaper stands. They are priced cheaper to attract more impulse buys and purchases. Think small child begging at Mommy or Daddy’s feet for that Zora the Explorer Activity Book! Mass Market books are generally paperback books printed on less quality paper and sized to be easy to carry in your pocket or purse. The production of Mass Market books also generally follows the release of the Trade version of the same book title. The Trade versions are usually of a higher quality paper, larger, more expensive, and hardback in nature. Mass Market Children’s Books are very often tied into more popular books, licenses or characters. If you think about it in most of the outlets listed above for Mass-Market you are much more likely to find products from Licenses like Disney, Warner Bros., or Nickelodeon. However, it is just as likely that you’ll find classic best sellers like The Hungry Caterpillar, Where The Wild Things Are, and Goodnight Moon. Books that are so popular that they demand to be available to more customers.